 I recently read a report on Live mint which revealed that the kid based youtube video channel ChuChu TV is the third largest YouTube channel in India with close to 5 million subscribers. It wasnt really a surprise as my 4 year old is also a chuchu TV addict and he loves watching youtube videos on my phone. The content on chuchu TV is actually very good making learning fun but what Iam concerned about is my toddlers eyes. He never seems to keep a good distance from mobile or laptop screen which is why I keep searching for innovative and creative ways to keep my 4 year old engaged. I have tried everything from toys to play dough and crayons but kids these days loose interest very easily so coming up with new creative ideas is essential. 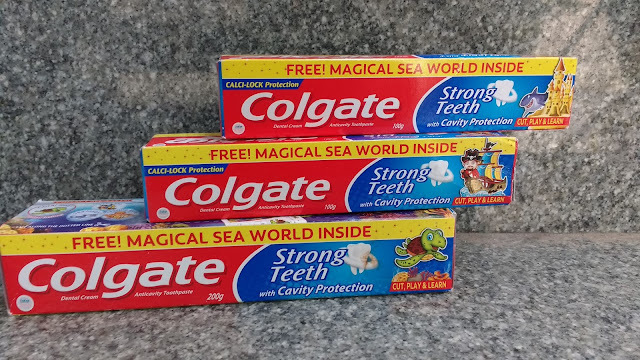 At a time like this exciting Magical Sea World Packs from colgate landed up on my doorstep making my kid happy. What is so exciting about an outer pack of toothpaste, you ask? 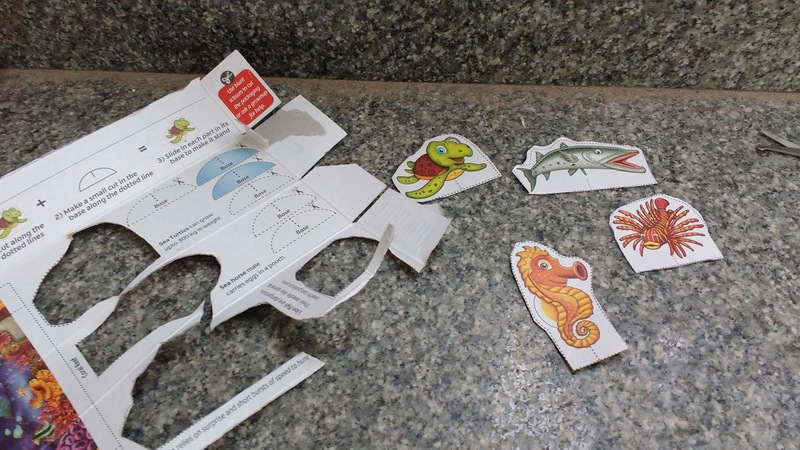 The Magical Sea World Packs are specially designed to help kids imagine and enjoy a world with a variety of magical sea creatures. 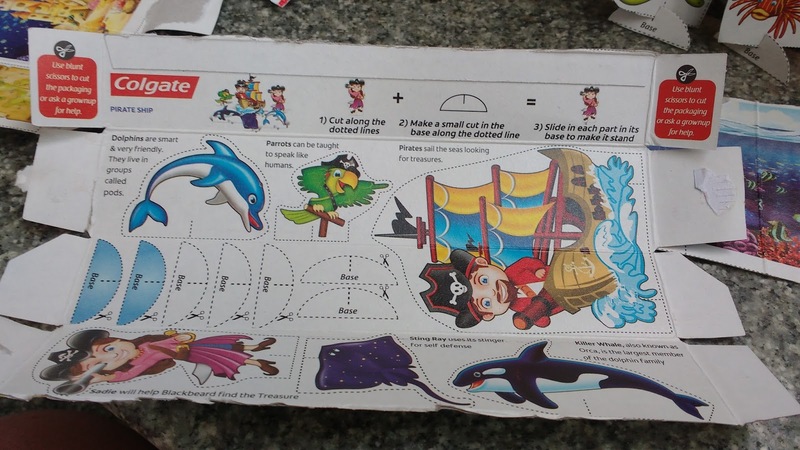 The printed boxes are a delight and using a scissor me and my little one sat down to spend some fun time . It was a great way to spend some time with my child away from gadgets and TV screens. The Colgate magical sea world packs come in four interesting themes called Treasure Hunt, Pirate Ship, Coral Reefs and Magical Mermaid which have around 15 sea creatures which will fuel imagination of kids helping them weave in their own magical stories. 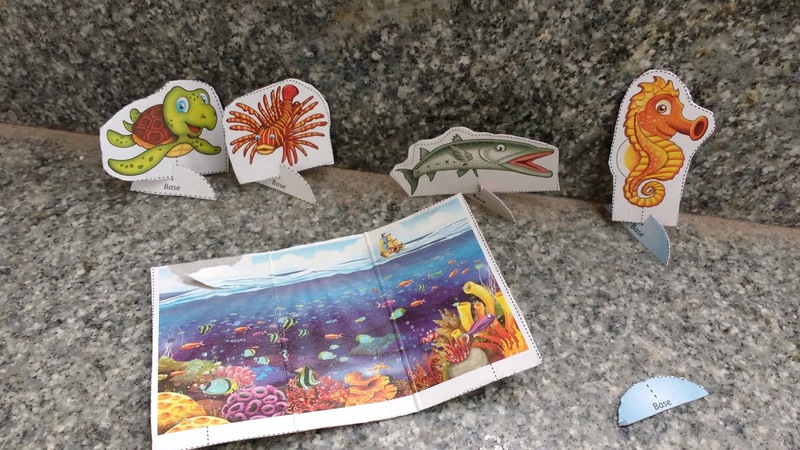 I love the idea of using sea world characters with a hint of magic for children to narrate stories. I do indulge my toddler in fun bed time stories but rarely do these stories revolve around the sea world and this colgate doodles is a nice way to introduce my child to underwater world. 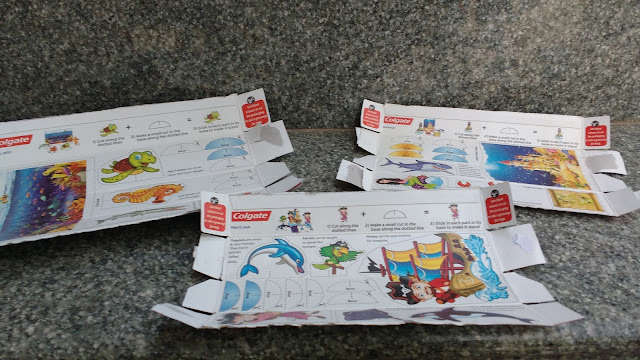 Diving into a magical world of coral reefs , pirate ships and Mermaid was a whole new experience for my kid and he enjoyed learning with the colgate packs. 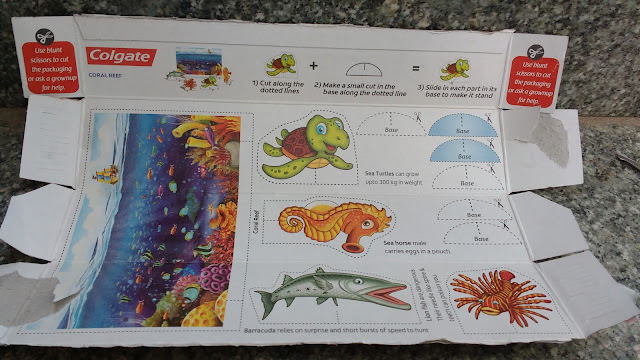 I was amazed at how much my child already knew about the sea world especially mermaids and how he could imagine a whole new perspective to some sea animals like sharks, turtles, ray and whale. My toddler being a boy I knew he would not be too interested in the magical mermaid pack and I assumed he would love the pirate ships pack but I was actually proven wrong. The boy was more interested in the Coral reefs pack and played with it all day even coming up with names for some of the sea creatures. The sea creatures not only help in sparking of imagination of kids but they also make learning fun with interesting facts which are printed on the pack. The facts are actually super amazing and even I was not aware of most of them. While my 4 year old is still a wee bit too young to weave in full fledged stories but he has taken liking to sports recently and made teams out of the coral reef characters and was attempting wrestling with them . Sea horse against the lion fish in a Sultan inspired pro take down inside the coral reef, while the barracuda plays the role of commentator and sea turtle cheers enthusiastically. 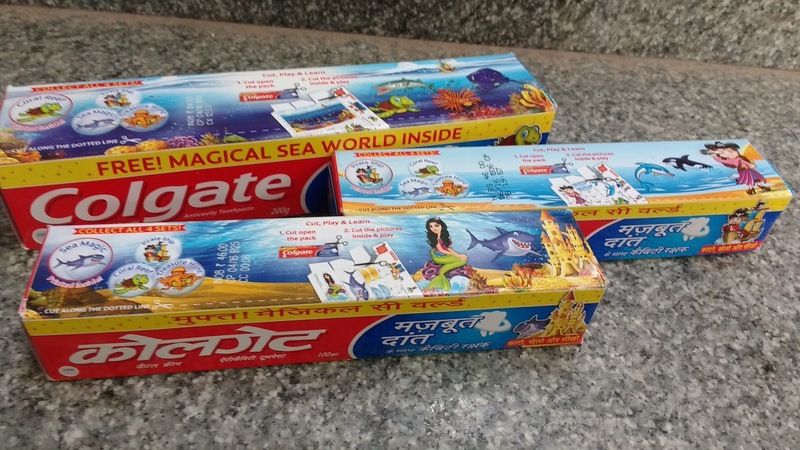 PS: I was sent empty packs by colgate but I went ahead and brought more from heritage mall in my locality.